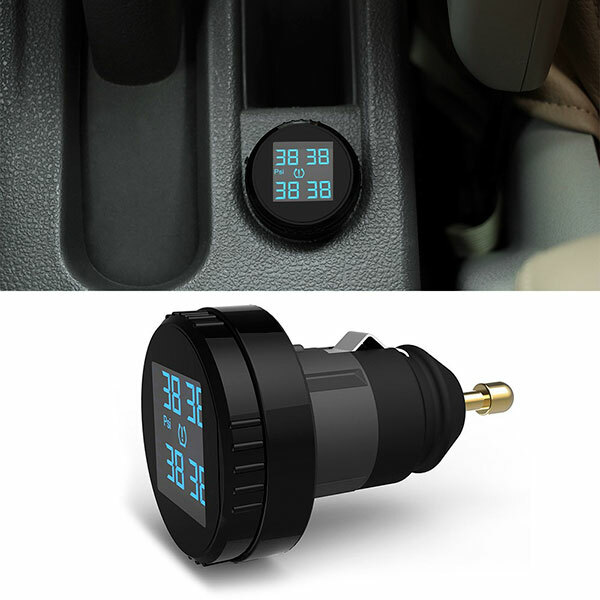 KOLSOL TS61 TPMS Cigarette Lighter Plug, Provides 4 tires Real-time Pressure or Temperature Simultaneously, and provide visual warning light and audible alarm sound immediately when tire’s pressure or temperature thresholds are exceeded. 2. Improve fuel efficiency,increase tire life and traffic safety and avoid abnormal wear of vehicle parts. 3. LCD color screen displays pressure or temperature of 4 tires simultaneously.Pressure units: BAR/PSI. 5. 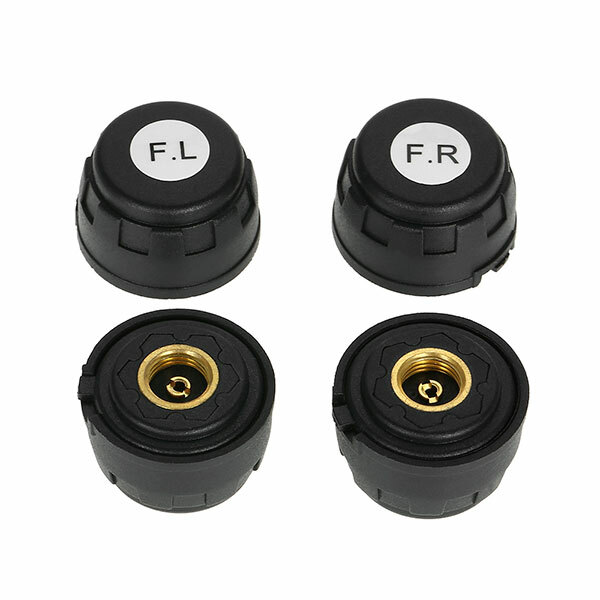 Tire pressure sensors are designed with anti-theft, waterproof, and easy installation, includes special tools for installation and replace the sensor battery (CR1632). 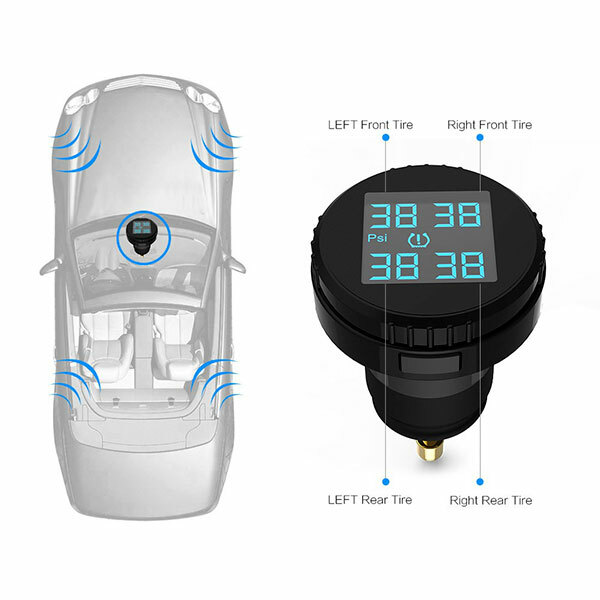 Tire pressure sensor is only 9 grams and the battery life can last up to 2 years, the battery (CR1632) can be replaced when the battery exhausted. 2. Turn on the monitor first before installing the sensors so that the monitor can receive the sensor data on time. 3. 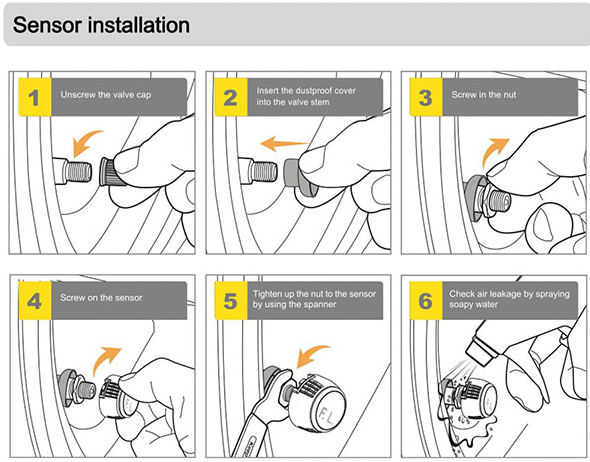 Ensure no air leakage over after installed and may use soapy water for testing if necessary.